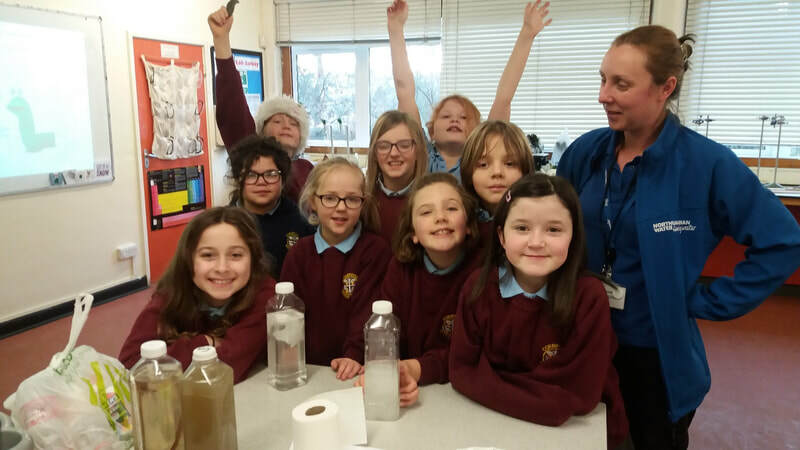 ​Year 5 Water Explorers What happens when you flush? ​The Water Explorers were treated to another visitor from Northumbrian Water today. Rheanne came in to talk about what happens to waste water that is flushed down the drain from Corbridge. We learned about the problems of fat bergs and the benefits of bacteria. We even got to hold a plastic poo! 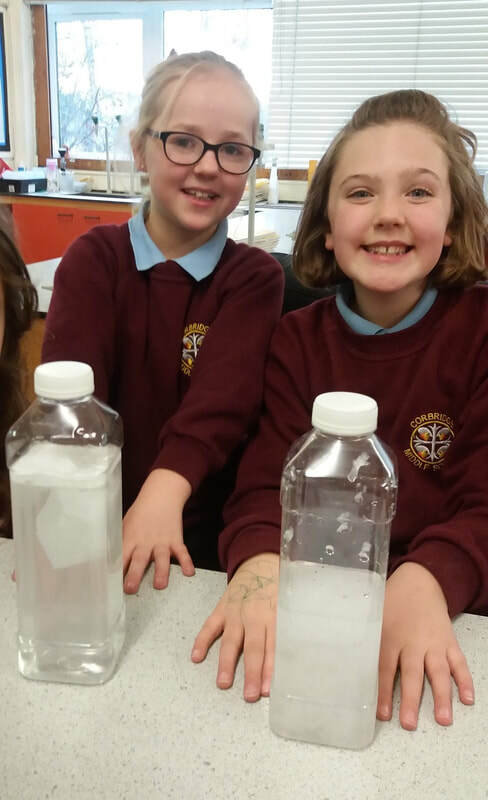 Rheanne gave us two bottles to shake - one with a piece of toilet paper and one with a wet-wipe - you definitely shouldn't flush wet wipes down the drain as they don't break down and can cause blockages. There were some great questions and lots of lively discussion from the Water Explorer team. Thanks Rheanne! 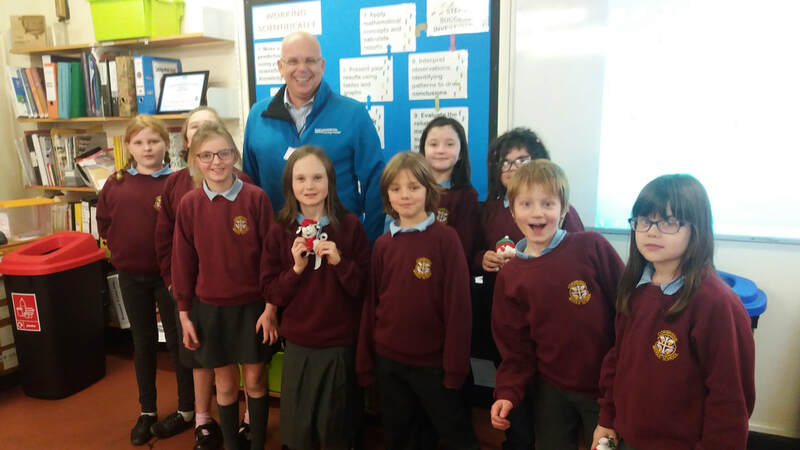 ​Richard Woodhouse from Northumbrian Water came to visit our Year 5 Water Explorers on 27th November. He told us about what the company do to protect water supplies and some of the innovative work they do with refillable bottles, gaining electrical energy from poo and creating meadow flood zones to prevent flooding. 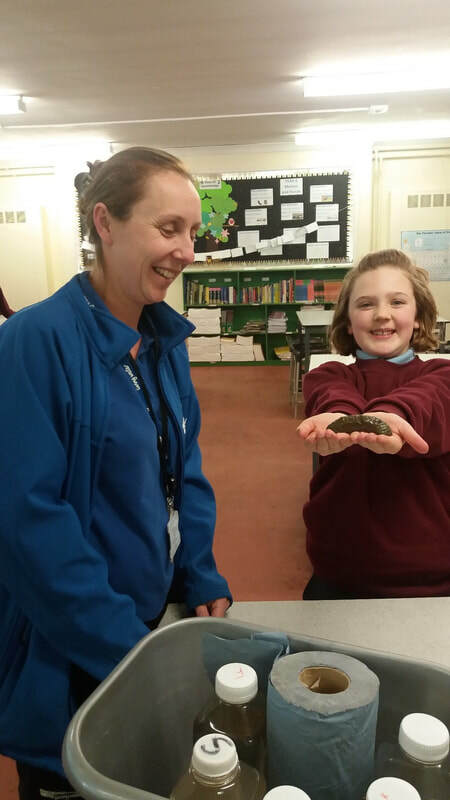 Our Water Explorers had lots of great questions and also learned about Dwaine Pipe - who has a song that goes "Only toilet paper, pee and poo goes down the loo". "I thought that the children were very interested and their behaviour was outstanding. I was a chair of governors at a primary school for 19 years and have not met many nicer children than your pupils". ​The Year 5 Water Explorers are doing a project on "Drenched or Dry" which is one of our Mission Tasks. We considered the hot dry summer this year in the UK and the ongoing severe drought in Australia. We then looked at flooding in the Tyne Valley during Storm Desmond and recurrent flooding in Bangladesh resulting from monsoons and sea-level rise. We linked the issues to the UN Sustainability Goal of Climate Change (#SDG13). 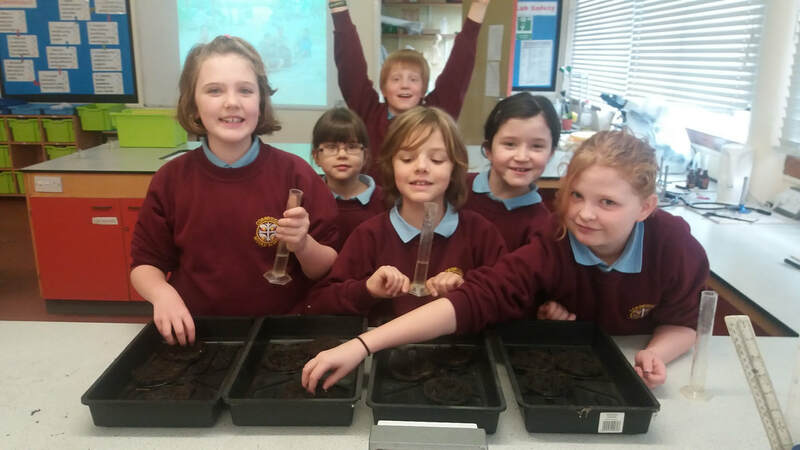 We are now working scientifically to grow plants with varying amounts of water - we've made predictions that drought and flooding will not be good for plant growth. What do you think?